From all of us to all of you, have a great holiday and happy new years! Thank you so much for everything over this past year. We are looking forward to starting 2019 off right, and seeing you all again soon. To everyone who picked up our tracks and put them in rotation, all the venue’s who opened their doors to us, all the great bands we got to make noise with, everyone who picked up some merch or albums, and the stations/blogs/sites/and magazine’s that featured or had us on air. We truly can’t thank you enough. We are very excited for 2019 and everything that it brings. Cheers! Hey everyone! We know we’ve been a little on the quiet side this last while. We thought it be a good idea to drop a quick update and let everyone know, good things are coming. We don’t want to get ahead of ourselves, but we are very much looking forward to sharing some exciting things with you all in the near future. We won’t keep you waiting much longer, and we thank you so much for the continued support you show us! Thanks as well to everyone who keeps requesting our songs on Rebel 101.7! Keep it up and we truly appreciate it. Cheers! Visit our store and enter code WINTER18 to get 15% off all clothing items between December 10th & 12th. Saturday July 7th we will be hitting the stage with Stynger and Down In Eden at Moose McGuire’s. Doors at 8pm and NO COVER! Swing by for what is sure to be a great evening of rock. 20% off all merch sale! 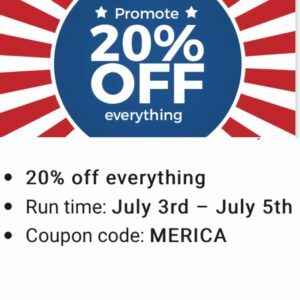 Three day only 20% off all merch sale. July 3rd to 5th. Visit our store and take a look around. Wishing you all a fun, safe, and happy Canada Day. Cheers! On Air. Make A Request! 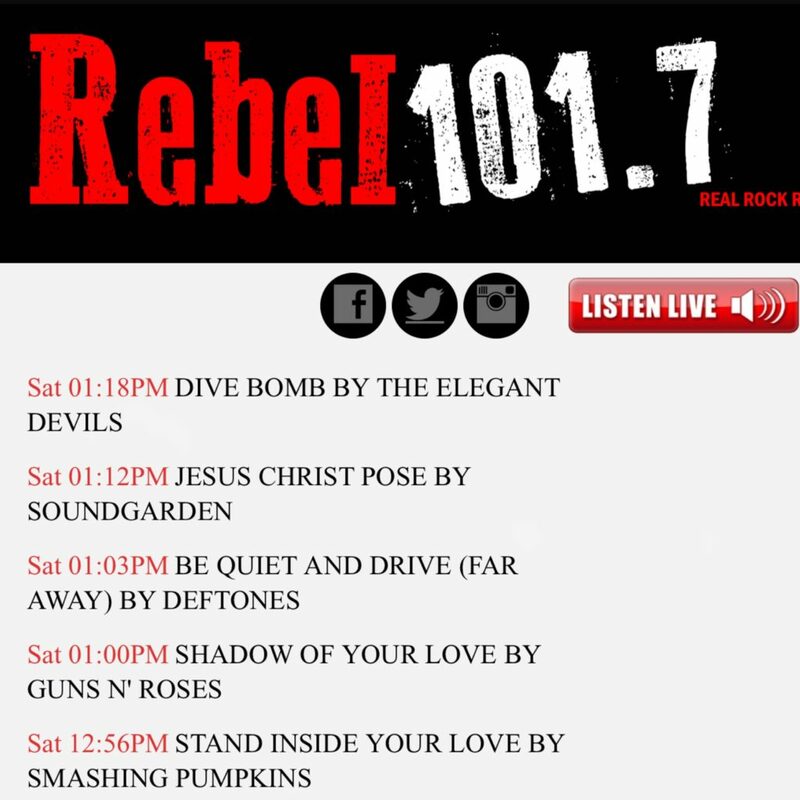 Thank you to Rebel 101.7 for putting Dive Bomb into rotation. Make a request through there mobile app, Facebook, or official site, and turn it up!